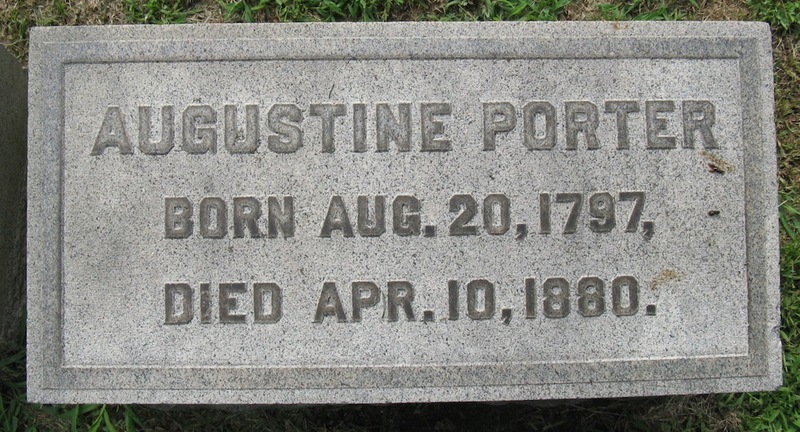 The Porter family had come to Chicago in 1836 from Cicero, New York, via steamboat through the Erie Canal and down through Lakes Huron and Michigan. Elizabeth was just an infant and the steamboat captain once threatened to throw her overboard unless she stopped crying. The family seeded in Lombard, then known as Babcock's Grove, but their sawmill business was unsuccessful, and they returned to Chicago in 1843. The following year, Augustin Porter bought a parcel of land in the vicinity of what is now Lyons. He proposed the names of Cicero and Proviso for local towns: Cicero for his home town in New York, and Proviso for the Wilmot Proviso under discussion by Congress at the time. He was later elected both Assessor and Justice of the Peace for Proviso Township. In 1860, Porter built the first brick house in what is now River Forest at the corner of Railroad Avenue and John Street (now Central and Bonnie Brae). Elizabeth Porter wed James Moore in 1852, and they had three children. 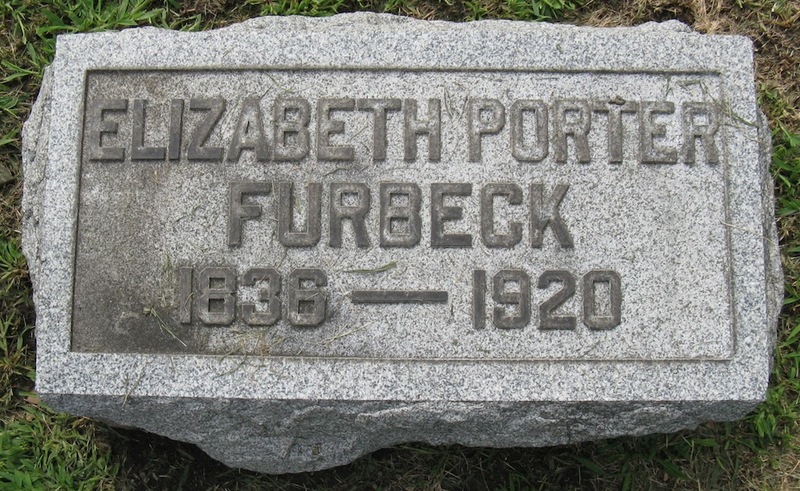 After his death, she wed John H. Furbeck. She lived with her daughter and son-in-law, Mr. and Mrs. A.M. Titus, in her fathers home after his death. For years, she was the only Baptist in Oak Park and the immediate vicinity. Her father mortgaged his property to help build the First Baptist Church in Austin, which she attended until an Oak Park congregation was established in 1873.